While the John Boos brand offers cutting boards made from various types of wood, such as walnut and cherry, we feel that their maple cutting board offers the most unique and interesting discussion for this John Boos cutting board review. One thing to keep in mind when purchasing a solid-wood cutting board, particularly a wood such as Maple, is the weight. Solid-wood products of any sort have more weight to them than wood-veneered or plastic products. Be prepared to experience a heavy product when lifting and transporting this cutting board. The solid heft of this board means very little if any slippage on the counter. If you are concerned about marking up your counter at all, then adding felt pads typically used for chair legs, will raise the board slightly above the counter surface. They are not needed otherwise, as the unit’s weight and size keep it in place during use. While it is not uncommon for laminated wood to eventually begin to split along the glue lines, a decent woodworker will learn methods to prevent this from happening too early in the product’s lifetime if ever. Generally these don’t hinder usage, but they are a rude surprise to the buyers and can harbor bacteria if not kept clean. John Boos offers a 1 year warranty against defective workmanship and offers complete care and usage instructions to maximize the life of their cutting boards. 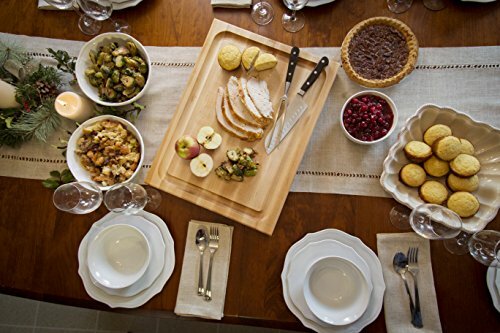 The John Boos reversible maple cutting board makes use of the unique properties of the wood chosen for this product. Maple, particularly Eastern Hard Maple, is known for having anti-bacterial qualities which makes it ideal for creating baby toys, cutting boards, and other products where the unit could come into contact with bacteria of various sorts. While bacteria can live for a long time on plastic products, the natural oils of Maple may kill most bacteria over night! This isn’t to say that you can avoid cleaning your board properly after each use. It’s still essential to wash your board after you’ve finished using it to chop meat or other foods rich with bacteria. It’s an added bonus that even after the soap and hot water have stopped the very nature of the board itself may help to protect your health. 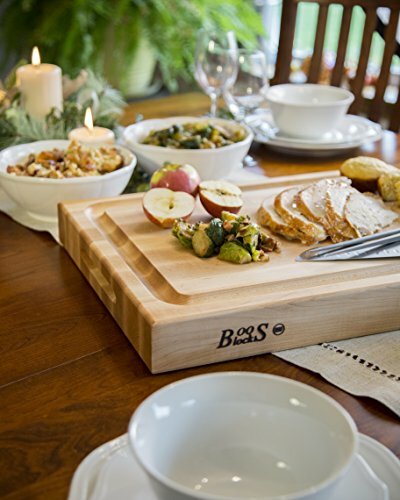 John Boos cutting boards use a food grade finish that lasts a long time, beeswax! It’s also very antibacterial. 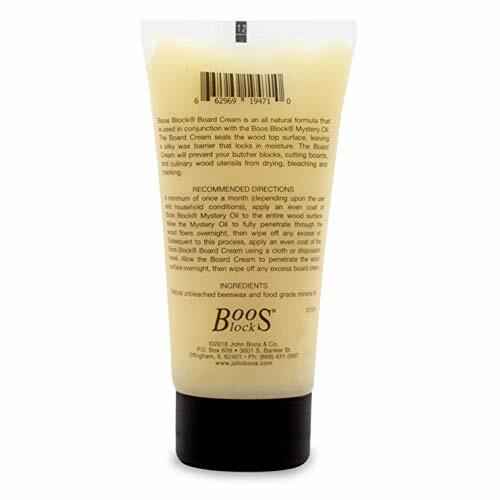 In fact, they also offer their own board cream to help keep your board hydrated after repeated cleanings. The John Boos Butcher Block Board Cream is one option to consider with these boards. Long-term care of your board will require you to re-oil it as this beautiful finish comes off. Other woodworkers recommend simply using standard everyday mineral oil available at most drug stores or supermarkets. Vegetable oils are not recommended due to their tendency to go rancid when left out. While there are many types of wood used for cutting boards, we think maple hardwood is a great choice! Using a beeswax finish feels like a win-win in the kitchen against bacteria.